If you’ve gotten value from our blog or podcast consider adding value back! LJS exists to serve and help our jazz community become better jazz musicians, but we can’t do it alone. We come out with 12 new blog posts and 4 new podcast episodes a month. If you become a monthly contributor you can help us add more value to LJS (see our Goals below). Thanks for considering your support of LJS! Help us remove all the google advertisements on the site! Once we reach $600 per month we will release an extra podcast per month. $3 per month: Casual User Thanks for your support! We appreciate it. At this level you will be added to our backers page. $6 per month: Regular User We’re glad you’re engaged. Regular users will get access to a voting board that will influence the episodes we produce each month. You can even make suggestions. $12 per month: LJS Fan Thanks for supporting our LJS and helping us keep it going! You will be able to ask jazz questions and we will answer them live on one of our monthly shows. $24 per month: LJS Supporter Thanks for your dedication to LJS! 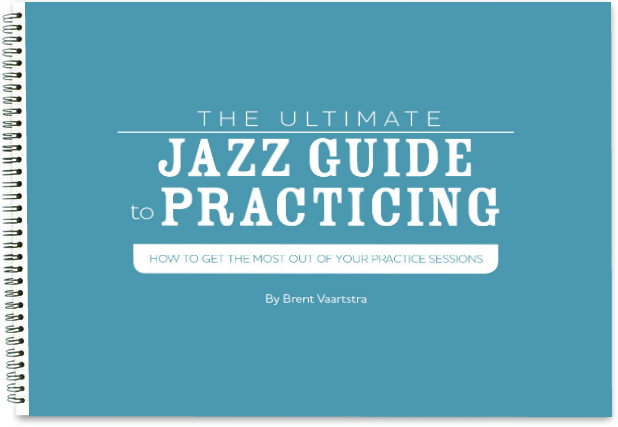 Get exclusive access to our "7 Days to Better Jazz Playing" podcast episode. $48 per month: LJS Producer For the most dedicated supporter of our podcast and our website! Your contribution helps us keep producing great jazz content, and keep the podcast ad free. Thank you for being a fan! You will receive an exclusive bonus podcast episode every month.